The coastal zone of Bangladesh offers tremendous development potential of national importance. Multiple crops can be cultivated along with fish and shrimp culture. The coastal region is also vulnerable to natural disasters such as cyclones, storm surges and coastal erosion. Other challenges include waterlogging, droughts, floods and salinity intrusion, many of which have a man-made dimension. 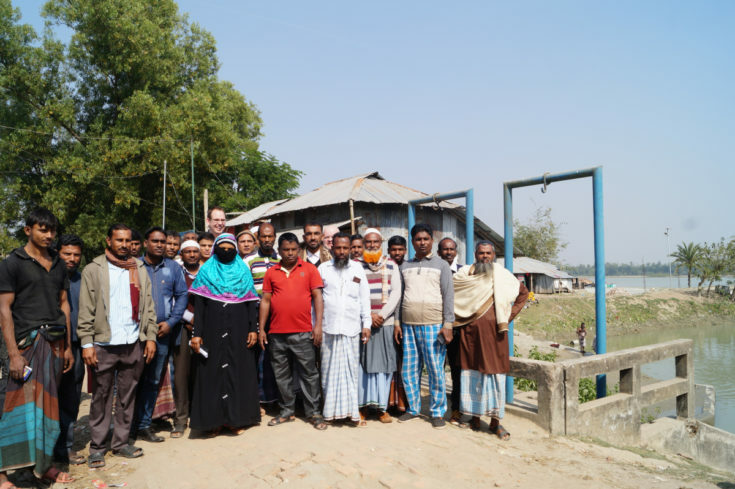 Poor communication, lack of education and health care facilities and a prolonged absence of safe drinking water further contribute to the overall vulnerability of coastal communities. To improve the welfare and livelihood activities of local communities in the Western Coast of Bangladesh by developing innovations and knowledge on water management Deltares and the Institute of Water Modelling (IWM), with the collaboration of other partners, have joined forces for “The Water Management Knowledge and Innovation Programme” (WMKIP). The program is funded by the Embassy of the Kingdom of the Netherlands in Bangladesh. It started in December 2017 and will have three years of duration. The goal of this programme to contribute to the Long Term Development Goals for the Southern Coastal Region and Objectives of the Blue Gold program through tested and sustainable water management innovations, knowledge development and participatory action research. Community engagement and participatory action research are key principles within the programme. These will ensure a strong linkage between innovations, research and knowledge development to practical and sustainable improvements of people’s lives.